I often pray to God, but he never seems to answer my prayers. What am I doing wrong? 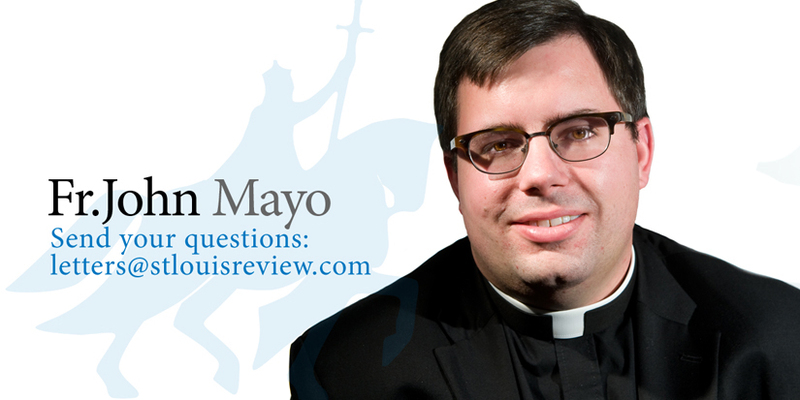 Father John Mayo is pastor of St. Raphael Parish in St. Louis. St. Augustine, in his writings on the Sermon on the Mount — one of the places in Scripture Jesus encourages us to ask, seek and knock for the Father’s answer to our needs in prayer — comments on why God doesn’t seem to answer our prayers. He lists four reasons. The first is that we’re asking for something that’s bad. In the passage from which St. Augustine is commenting, Jesus says, “Which one of you would hand his son a stone when he asks for a loaf of bread?” (Matthew 7:9). This is hard for us to understand when we are asking for something that appears to be good, such as health or employment. Children may ask their parents for something that appears to be good to them, just as these things appear good to us. The parents, though, through their perspective and knowledge, know some things are not good for their children. So they answer in some other way but do not give them what would be harmful. The children must trust that their parents know better than they. We must similarly do this with God. The second reason is that our personal disposition isn’t good for wanting what we are asking for. Instead of genuinely asking, we may be motivated by pride, jealousy, envy, anger or some other vice. Praying not only for what we want, but also for the vision to see why we’re asking, is helpful in purifying ourselves and our prayer. Third, we may ask but don’t truly believe God will act. Perhaps this happens when we have tried everything before asking God, or are still working on a fallback plan in case God doesn’t come through. While we need to be prudent in our actions, we also need to give our hearts fully to God in prayer, who tells us that even with a little faith, we can move a mountain (Matthew 17:20). Lastly, St. Augustine writes that we may ask but are living in sin. God may truly want to provide us with something, but we persist in a sin that we refuse to give to His mercy. Just as a parent would challenge their child to first change before giving them what they ask for, so God may be doing with us as well. God hears and answers all our prayers (Psalms 116). Thus, He may be answering our prayer, but just not in the way we want or expect. This answer may humble us, may encourage us, or may be totally unexpected or unwanted by us. But if we ask our Father in faith to hear and answer, we need to be ready for that answer, no matter where it comes from or what it might be, trusting that it is Him in His love who is answering our prayers. This column previously appeared in the St. Louis Review. Father Mayo is pastor of St. Raphael the Archangel Parish in south St. Louis.